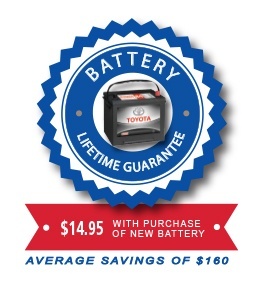 Genuine Toyota batteries have more than quality and value. 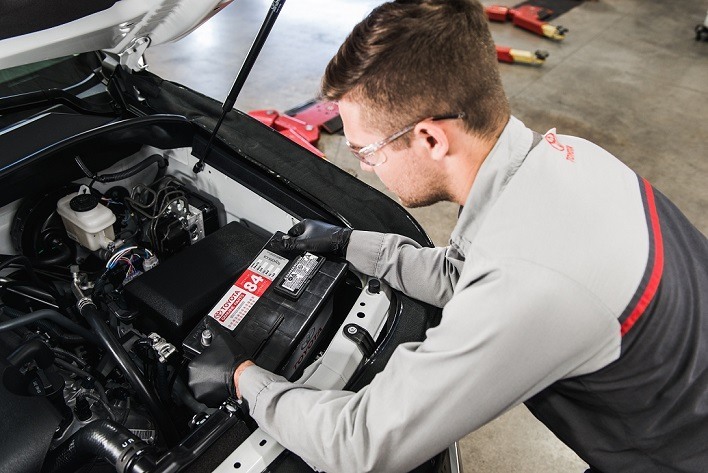 Coupled with the the Tony Graham Toyota Lifetime Battery Guarantee a car battery failure will never stop you from going where you need to be. - Only available for genuine Toyota replacement battery, for Toyota automobiles on or after August 1st, 2018. - Guarantee is specific to the orginally purchaser & vehicle. - Initial & subsequent battery replacements during the valid Guarantee period must be installed by a Tony Graham Automotive Group Technician. - The guarantee is not valid at any other repair shops. - Installation and any other consequential labour or parts required to return the battery system to it's original operating condition are excluded. - Guarantee does not cover loss of use, towing charges, transportation, incidental damages or parts supplied by the customer. - All recommended maintenance must be completed as per Toyota service guide & recommendations. - Guarantee is applicable to complete battery failure, based on inspection, industry standards testing and upon recommendations from a Tony Graham Automotive Group Technician. - Guarantee is non-transferable and applies only to the original purchaser of the replacement battery on the vehicle to which it was installed. - Not applicable to wholesale customers or over-the-counter purchases. - Guarantee does not apply to vehicles that have been modified or used for racing purposes.